Since the invention of the credit card, the world changed! With that shiny metallic-looking piece of plastic, you can buy what you want without the need to pay it in cash. You can purchase something that is a little bit above your budget and pay it in installments. Skip going to the malls. You can shop online and pay using your card. These are just a few of the good perks you get with your credit card. But there is more potential to it than you ever know. If you plan your move strategically, you’ll fall in love with it even more! It can be tempting to get one card for its rewards program. Then you’ll find another one with even better rewards. Here comes another offering big cash back for the first few purchases. Then you realize, you have one too many! Match your credit card rewards program with the lifestyle that you have. If you own a car, you pretty much gas up every day. Get a car that offers a cash back for every time you fill the tank. If shopping and dining out is your kind of stress-reliever, there are cash back rebates for that, too. If traveling is what you love doing, many credit card companies gift their patrons with airline miles and hotel stays. Having the fitting card is a good place, to begin with. Do not confuse it with ‘spending more’, though. It isn’t the same thing. This just simply means that you pay for all your purchases through the credit card. When you charge your purchases, you are banking on your rewards. The more purchases you charge to the card, the more points that go toward your rewards. Some cards offer double cash back. What this means is you get a cash bank upon purchase, then another cash bank if you pay on time. Make it a habit of paying in time so that the interest rates do not get applied to your dues. One way to do this is to know when it expires. Not all rewards last a lifetime. In fact, it is so rare to find one that offers lifetime rewards. If you have multiple cards, be able to easily identify which card offers better rewards to specific products. If one gives you 3 percent discount for dining out and another offers just 1 percent, it is an obvious choice. If your other cards are ‘less rewarding’, it is time for you to throw them out. The money that goes to those cards is not raising your reward points high enough, it is a loss. You buy stuff you don’t necessarily need because you’re growing your points to avail of a travel promo. Yes, it will fund what can be a trip of a lifetime. But after that, you’ll be left with something that may cripple your finances. Overspending is never wise. Always be cautious. Always think before you swipe! There is a card that caters to those whose credit scores are a lemon and even those whose credit histories are limited. Unlike conventional credit cards, this type can come with higher interest rates, extra fees and carry a lower credit limit. Because its interest can go as high as 30 percent, subprime credit card holders need to be more careful with their spending. 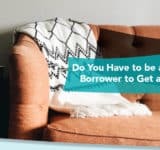 The good thing about having one though is it can help you grow your credit. We are sure you don’t want to stay a subprime credit card holder forever. As long as you keep your spending within your means and you pay your dues on time and in full, you are building your credit. If you keep doing these, you are very well on your way to becoming a prime credit card holder.